Dr. Eveline Ane is a board-certified family physician, offering primary care services for all members of the family – from children to seniors. She has practiced in the Washington, D.C metropolitan area for more than 10 years. An active member of the American Medical Association and American Academy of Family Physicians, she is a well-respected staff member at Doctors Community Hospital in Lanham, Maryland. During various points in her career, she has worked at Holy Cross Hospital as a hospitalist, as well as an emergency physician at St. Mary’s Hospital’s Acute Care Center. 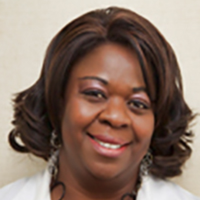 She originally started her career as a Family Doctor in Presbyterian Hospital in Acha-Tugi, Cameroon. Dr. Ane obtained her medical degree from the University of Siena, Italy, and completed her residency at Carilion Family Practice in Roanoke, Virginia. In her spare time, Dr. Ane enjoys traveling and spending time with her husband and four beautiful children. Want to know what other people really think about our services? Its the best!!! I have lost 45pounds!!! And i still going for 60more punds down! Friendly staff, and awesome program! Great place to use for weight loss as long as you apply yourself. Having a baby in my 40's left me with 25 stubborn pounds that I needed to lose to get back to my normal weight. I started attending Right Weight and lost the weight in 4 months. I followed the diet plan that was giving to me plus I lowered my calorie intake for the day and the weight vanished in no time at all. I lost 9 lbs from my last visit... It works if you commit to the diet. I like everything about right weight. Towanda has been very helpful and getting me in and getting me out very Timely. Excellent, effective program. I have changed my relationship with food, and worry very little over what and when I eat. Food is now 85% for nourishment, and 15% for pleasure. Down a solid 20 pounds and still releasing! Friendly staff and wonderful doctor. I am glad I choose Right Weight to help me on my weight lost journey. Excellent attention, you couldn't ask for better clinic to lose weight and be in good hands. Love it great service if you really want to loose weight it works if your serious about your health. The best center ever, my entire family attends center and they are receiving great results. It's revival of health insurance my family. Been going here for about 3 weeks now. With the combination of the vitamin b shot, the phentermine(37.5mg) pills, and eating healthier (more home cooked meals, than fast food), I lost 10 pounds. I haven't been excersizing as much, but I'm hoping that once I mix that into the equation I'll be at my goal weight in no time. I have tried many many diets that have all failed to work. Went to the gym two times a day for over an hour, ate healthier proportions, beach body workout, P90x, garcinia, oils, etc. None of those ever worked for me. This is the first time I'm seeing actual results, it feels great. Ive never had anything less than a positive experience with Right Weight! This far I've lost a total of 50#s and counting. The customer service is amazing and I couldn't be more grateful for the help and support while on my weight loss journey!! Very nice staff and very informative. It works! Just visited this morning, fast efficient service! I was in and out in 20 minutes. The staff at Right Weight Center is very supportive and has been a great partner in my weight loss journey. The nurses are always pleasant and professional. Great atmosphere. From my past experiences, I struggled to lose weight, but I can definitely say this program works. Since starting in May, I've lost 24 lbs, I stayed committed and determined that I'm going to reach my goal. I haven't had any adverse reactions from the appetite suppressants or the B12 and lipovites injections. I can definitely see the improvement. I started at 287bs and now I'm at 263 lbs and still losing. I would definitely recommend this program to anyone that is serious trying to lose weight in a healthy way. This Is the only weight program that I am able to maintain and see results. I've been going to Roght weight Center for a couple of years to maintain my weight loss, and she be always had the most professional services there. I've always recommended friends and family to Right Weight Center because of my experience. The Staff is always readily available, always are aware of my particular needs. At the Right Weight Center the Doctor and staff routinely check my blood and blood pressure to help maintain my good health. I have nothing but great things to say about this Right Weight Center!! We were in and out in no time at all. The lady working the reception area is always pleasant and friendly as well. Over all I had a good visit and will return! The staff is very nice and polite, they conversate with you. I like the fact that they ask questions about how you feel. I have lost almost 40 pounds within 6 weeks. I highly recommend them to anyone that wants great service and want to feel comfortable about losing weight. The staff here is always pleasant and knowledgeable about what's going on.. This place is the only place that has been able to help me lose the weight that I want. Friendly and supportive staff that wants you to lose just as much as you do. Sometimes there's a wait but they work really hard in getting you in and out of there as fast as possible! I drive about a half hr to get there and it's worth it! If you're trying to lose weight I definitely recommend you going there, trust me it helps. The Right Weight Center is a comprehensive Weight Loss Program. I wholeheartedly recommend them without reservations. The staff is professional and highly competent. The customer/patient-experience is remarkable. The wait-time is unbelievably short no matter what day or time of day you visit as their staffing undoubtedly meets customer/patient expectations. Being a people-person, I have met several fellow patients who offer encouragement based on their enormous weight-loss success stories. Compared to other competing local solutions, the cost is dramatically reasonable. The Right Weight Center has earned a maximum FIVE-star rating. Stop procrastinating. What do you have to lose? Except the extra pounds. Great and knowledgeable staff. I’m excited about this journey I’m starting on. Polite, quick and informative service! The staff is really friendly, and the weight loss medications do work if done with eating right, and exercise, I lost 13lbs in 3 weeks. It works. I could not do it on my own. It is easy and I am able to control my eating. I have been doing it for about 3 months and I have lost 32 pounds. More importantly I feel great and I have more energy and motivation. Since day 1 I have experienced great customer service. Very professional and informative staff. My experience is always quick and convenient because I have a very hectic schedule.. I have been a fan for many years and they are the absolute best love you guys thanks . Great, efficient, entire CNA staff works synergistic and in syncopation to manipulate the Ebb & Flow of the Saturday crowd! Teamwork makes the dream work! The information in the RightWeightCenter web site is for informational purposes only. The information contained in this service is not intended nor implied to be a substitute for professional medical advice. Always seek the advice of your physician or other qualified health provider prior to starting any new treatment or with any questions you may have regarding a medical condition. Nothing contained in the service is intended to be for medical diagnosis or treatment. The information on this site is provided "as is" without any warranties, express or implied, including but not limited to the implied warranties of merchantability, fitness for a particular purpose, or non-infringement. RightWeightcenter makes no representation or warranty that the information contained on this site will be timely or error-free. In no event shall the provider be liable for any direct, indirect, incidental, consequential, special, exemplary, punitive, or any other monetary or other damages, fees, fines, penalties, or liabilities arising out of or relating in any way to this service, or sites accessed through this service, and/or content or information provided herein. A user's sole and exclusive remedy for dissatisfaction with the service is to stop using the service.